The SPSS accepts no responsibility for the content or accuracy of the information contained in these advertisements. 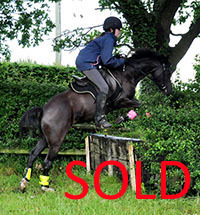 Members may advertise SPSS registered/passported ponies/horses and SPSS registered/passported youngstock. 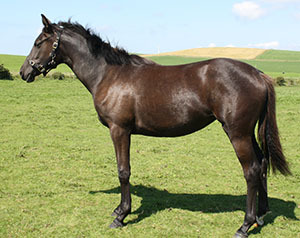 2 year old black colt (born 2017) to make approximately 14hh. 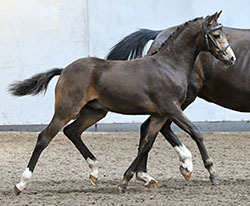 By the German Premium & ELITE sire Boss Junior (Boss x Night-Star I) out of the former FEI dressage pony mare who represented both GB & Germany, Pretty-Women (Black Boy x Kompass). 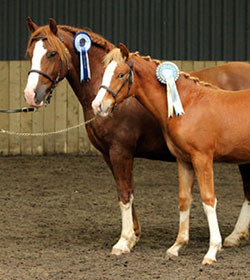 Both sire and dam are SPSS Elite graded. 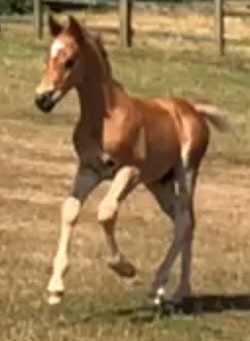 Very athletic colt who is licensed with the NPS. 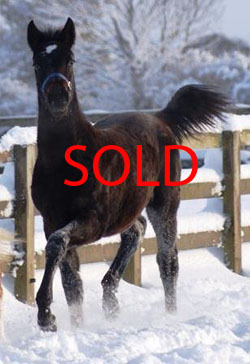 He gained a SPSS "Gold Premium" award as a yearling in 2018. He is the full brother to Romanno Pretty Lady who was the SPSS Reserve Supreme Mare Champion 2018. 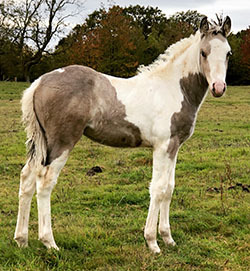 This colt has some superb bloodlines and a fabulous nature. 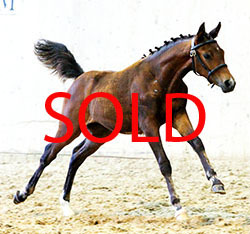 He has very athletic movement and is a definite candidate for sport or show classes, as well as a breeding stallion. 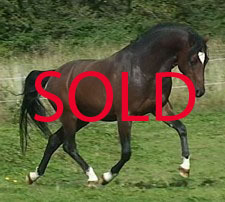 Only for sale due to a new business venture and lack of time for him. 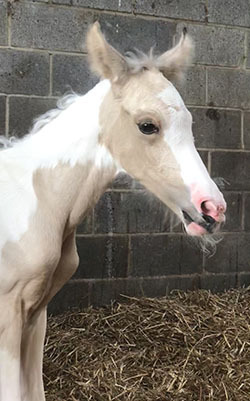 SPSS passported stunning lemon and white 2018 filly foal for sale. 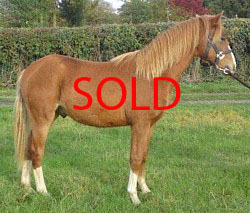 By Hilkens Gold Card out of registered part bred Connemara mare Maerdy Mocca. 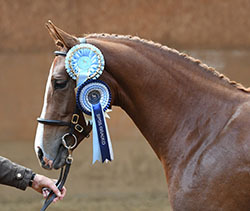 Miss Gold Mocca (who is known at home as "Saskia"), has a pedigree full of phenomenal ponies including Golden Highlight, who was the champion stallion at the approvals in 1999, gainied three 10s at his performance test, become Champion at the Federal Championship in 2001 and International Supreme Champion at the International Welsh Show in Aachen in 2003. 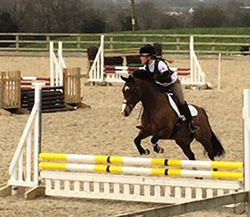 Saskia’s dam is a registered part bred Connemara pony with a fabulous scopey jump, placed in her peak up to Foxhunter level and at BSJA Pony National Members Cup. 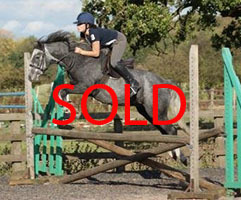 Saskia has inherited fantastic jumping lines from both parents but could excel in any sphere. 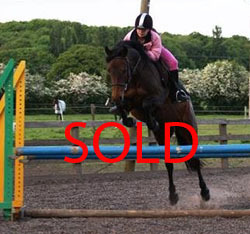 She is expected to make a full up 14.2hh. 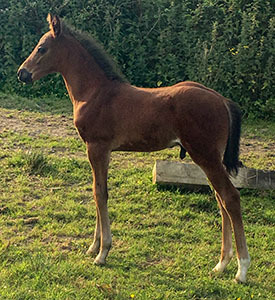 Woodburys Stud and Hollrock Sports Horses are delighted to offer for sale a Homebred Elite Premium 2018 filly foal. 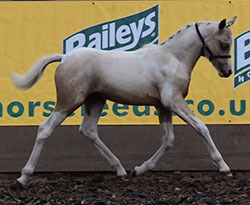 Woodburys Lollipop, by SPSS graded Woodburys Harlequin out of Brynseion Happiness (by Churchwood Troy) was the highest scoring jumping bred pony at the 2018 British Breeders Futurity tour of UK scoring a 10 for conformation, 9s for trot and canter and 8.5 for walk from a panel of 4 judges. Overall score 9.025 and awarded a coveted ELITE Premium. 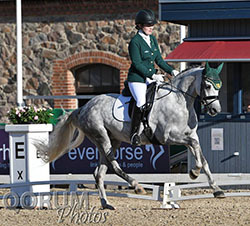 Lollipop was also assessed on the SPSS Evaluation Tour by German judge Hans-Henrich Bruning and awarded an SPSS Premium. Lollipop has the most charming personality and is sure to be a successful children's pony either as a hunter pony or pure jumping. 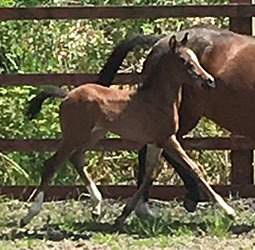 She should mature between 12h and 12.2h and would also be a fabulous addition to a breeding program with such incredible legends in her direct pedigree as Moleview Mohawk, Eyarth Zsa Zsa, Llwynan Llewelyn, Thornwood Royalist and the Dutch Neron! She is passported, microchipped and clips, loads and travels beautifully. 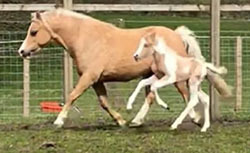 Stunning buckskin and white 2018 filly foal for sale. 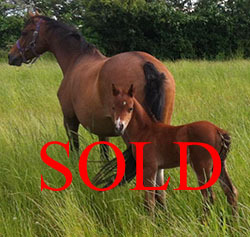 By Bathleyhills Swift Promise out of SPSS graded pony mare Lunar Bug. 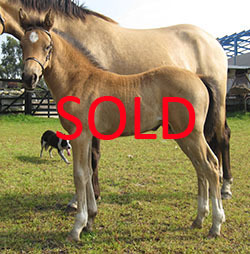 Swift Promise (who is know at home as "Duncan"), was bred at the hugely successful Bathleyhills Stud and has a pedigree full of phenomenal ponies including his sire Bathleyhills Monet and damsire Thursden Vallye Raphael. 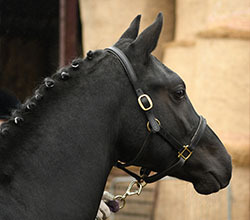 Duncan himself went Northern Reserve Stallion Champion when graded by the SPSS in 2017. 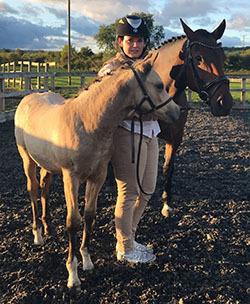 Bellatrix's dam, Lunar, has unregistered breeding but has been a fabulous ridden pony in her own right training medium dressage and with a fabulous scopey jump. Bellatrix has inherited a fantastic nature from both her parents. 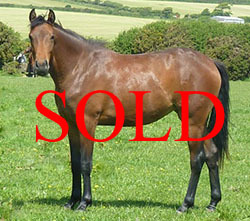 She is expected to make a full up 14.2hh and will be available at weaning in February 2019. 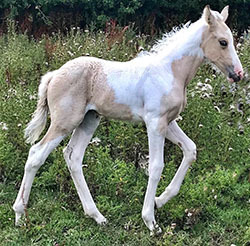 A 2017 buckskin colt, Islestone Goosander is by SPSS graded Bathleyhills Swift Promise out of SPSS graded mare Islestone Phoenix. "Goose" is a correct, straight moving and exceptionally pretty youngster with a kind and interested nature. 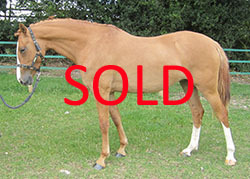 His pedigree features many top ponies including the SPSS graded stallions Bathleyhills Monet and Thursden Vallye Raphael. 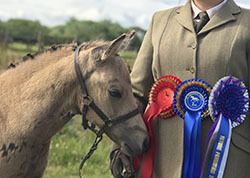 Goose was awarded a premium at the SPSS youngstock inspection in 2017, where his dam graded and his sire graded and was the Reserve Northern Stallion Champion. Shown once in hand as a foal at foot with huge success, this boy will have a tremendous in hand career before starting under saddle. 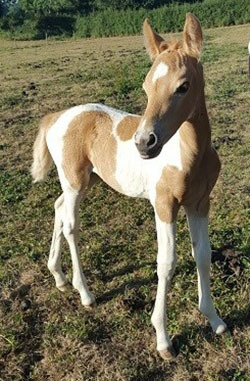 Sweet and amiable he will make a lovely child’s pony. 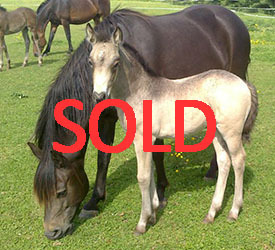 A fabulous opportunity to purchase a super 2018 Bathleyhills grey colt foal with phenomenal breeding to make 148cms. 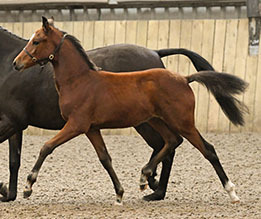 This colt, who is known at home as "Kristoff", has superb uphill paces and excellent conformation. He is also bold and confident. 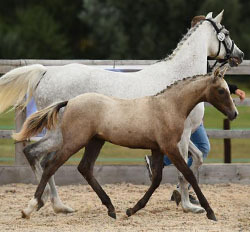 His dam, SPSS graded Antsar Maria's breeding includes both of the late great ponies Strinesdale Matador and Pickmere Kismet who are proven without doubt in the event world, dressage, show jumping and showing. His Sire, SPSS graded Bathleyhills Monet's breeding includes the double Bundeschampion Casino Royale K, and the world famous Champion De Luxe. 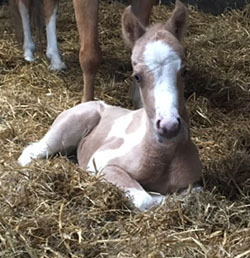 This foal really does have it all. 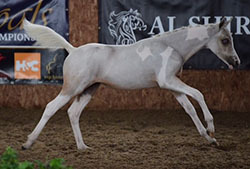 Kristoff is passported SPSS and will be eligible to be overstamped as a Part-bred Arab. 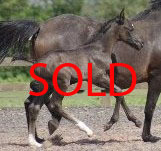 For sale on weaning which is due end October. 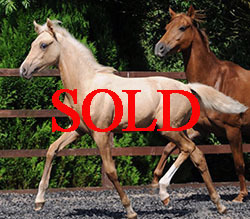 Deposit will secure, youngstock livery would be available if needed. 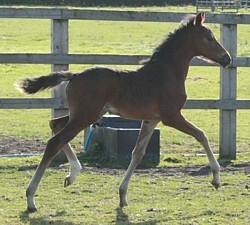 Other foals also available this year. 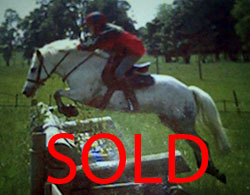 Priced to sell at £2,250. Home is most important. 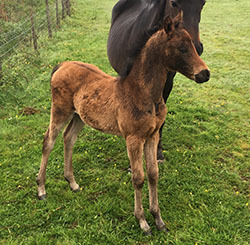 KEH Grand Entrance is a chestnut colt born on 21st May 2018 and expected to make 148 cm. 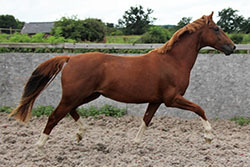 "Tango" has been bred specifically to be a top quality sports pony and has with superb FEI potential. 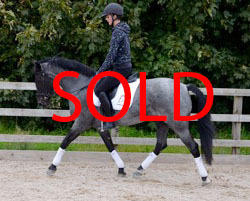 He has an active walk, expressive trot and a cracking uphill balanced canter all of which gained him a coveted SPSS GOLD Premium when he was evaluated in September 2018. 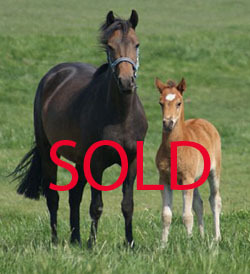 His breeder has retained his full sister and his full brother, who also gained an SPSS GOLD Premium as a foal. Their temperaments are second to none with outstanding conformation and movement. Tango's sire needs no introduction. 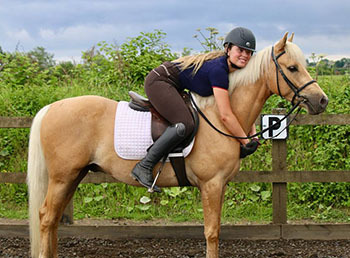 BKS Grand Design is a German Riding Pony who is graded SPSS Elite and competing internationally with the most successful and consistent record. With FS Golden Moonlight as his sire it’s hardly surprising. 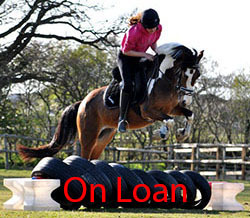 Tango's dam has competed in dressage and eventing. 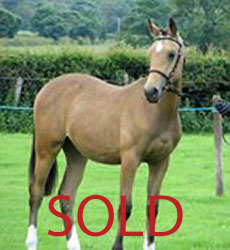 Owned by Tango's breeder since she was a foal and it was always the dream to breed with her. 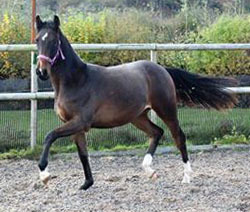 She is a Connemara x Lusitano and her sire, Infinitio, was a Grand Prix dressage stallion. 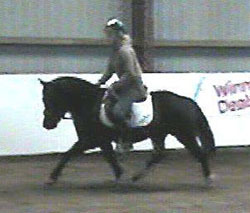 With these bloodlines she was a breeze to teach changes and lateral work. Tango will be ready from the end of October. He has an SPSS passport and is chipped and vaccinated. 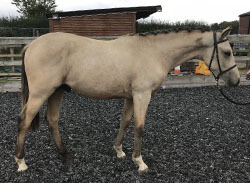 A lovely, show quality 3 year old (born 2016) filly, with excellent conformation, and movement, and carrying some exceptional Trakehner bloodlines. 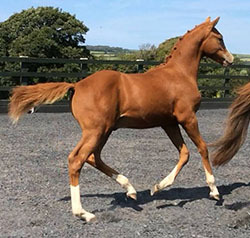 Jezebel is by the young and talented stallion Bathleyhills Justified (by Garuda K) out of the SPSS and WBS(UK) graded Trakehner pony mare, Holme Grove Cezanne (Holme Grove Prokofiev x Hohenstein). 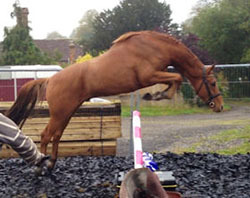 Bathleyhills Justified is a promising young eventer who last year (aged 5) won at BE90 and this year (aged 6) has been 2nd at BE100plus and completed 3 BE Novices. His sire, Garuda K, has done well at FEI International competitions including 3rd in the Grand Prix Special at Hartpury CDI3* in 2013 and 7th in the Grand Prix Freestyle at Saumur CDI3* in 2014. 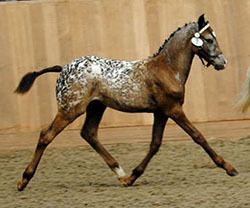 Justified's dam, SHB(GB) Head Studbook graded Juswith Sindoor is by the TB Andes out of a WPCS Sec D mare. 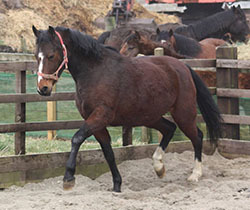 Jezebel is expected to mature at approx 16hh, has been well reared, and handled, fully vaccinated, and has an SPSS passport. 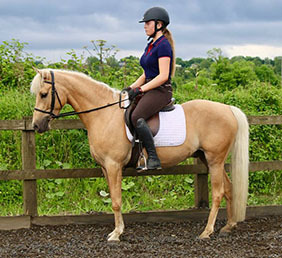 Beau is a 13.1hh, 6 year old (born 2013), palomino gelding. 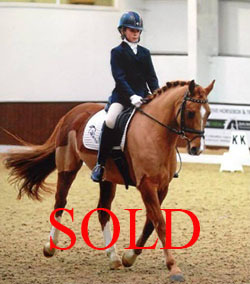 He has been bred to perform by Godrics Stud (breeders of the top GB dressage pony in 2016 - LE Chiffre). Beau is by the SPSS graded stallion Bathleyhills Monet whose first foals were only born in 2012 but has already sired numerous top quality ponies with his youngstock receiving Elite and High First Premiums from the BEF Futurity, being awarded coveted SPSS Premiums, winning multiple showing Championships and crop a mare and colt were both graded by the SPSS. 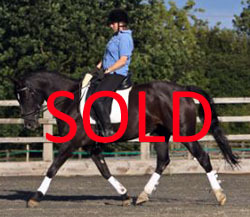 More about Monet can be found on his page (here) including his impeccable dressage breeding. Beau out of SPSS graded No Promises who is by SPSS Elite graded Caesar 171, who is believed to be the top sire of Dressage Ponies in the UK with no less than 4 of his UK born progeny currently achieving great results at top international pony dressage including LE Chiffre, best GB dressage pony at the 2016 Pony European Championship and selected with a different rider for 2017. 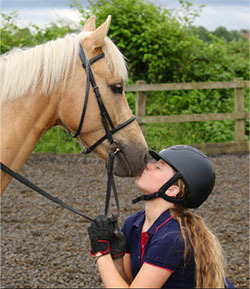 Caesar is a twice Pony Euros Team medallist himself - read more about him here. 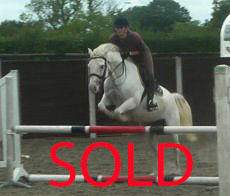 Beau has been lightly backed and ridden away showing great promise under saddle with a very trainable attitude. 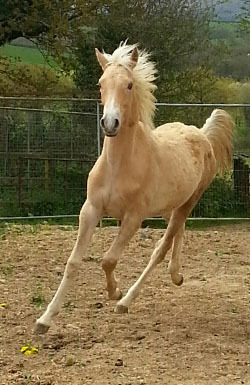 He is a well socialised young pony and has been well handled since birth. 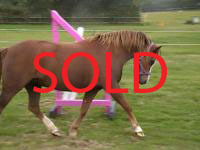 He is good to shoe and catch all his vaccinations, worming and dentist are up to date. Beau is easy to do and would make an ideal 2nd pony for a child to pursue their career with ponies; he will be a great addition to any family. Priced at £3,900 ono. Based at Godrics Stud, Durham. For more information, please contact Bev Brown on 07900 413 886. 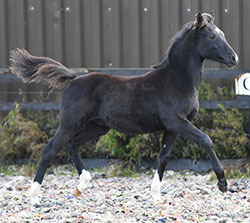 Black Near Leopard, Knabstrupper Filly to make 13.2hh-14hh. 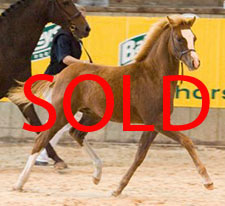 Her sire, SPSS graded stallion, Thore, is 100% Original Pure Bred Knabstrupper of fantastic classic baroque style with very sought after bloodlines. He is Premium graded by both ZfdP and KNN and was 30 day Performance Tested in Germany. 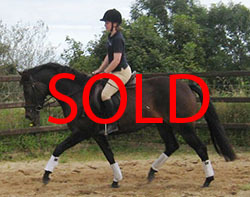 Thore stands at 15hh and with seeing Freyja's legs we are sure she will get some of his height. Grace, Freyja's Dam moves heavenly and has produced some fantastic quality, beautifully marked champion stallion offspring. 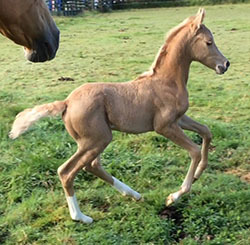 Freyja is her first filly and we couldn't have asked for more. 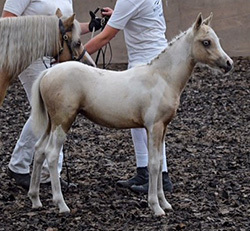 Grace attended the UK KNN Grading in 2014 and was assessed as a Knabstrupper Pony. She was awarded a 7, a 2nd Premium with some lovely comments from the judges. We took Freyja to the KNN grading this year to be evaluated and are exceptionally pleased with her results. 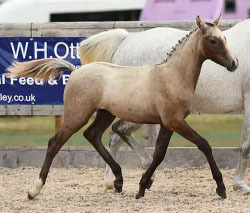 She was awarded an 8 - 1st Premium and was the highest scoring filly foal with some lovely comments from the judges. We will also be taking her to the SPSS Youngstock Evaluation later on this year. I am very excited about this cross and her future. 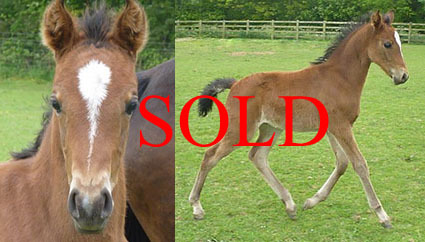 A deposit secures until weaning (Nov 15) £1500 ONO. 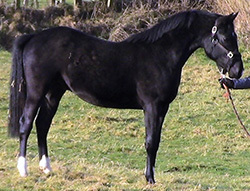 SPSS graded broodmare, born 2001. 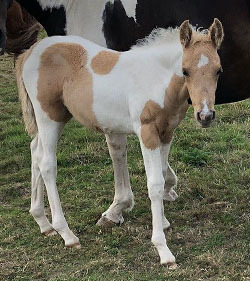 Had super chestnut colt in 2015, Jamesfield Where's Wally, by SPSS graded Woodlander Wales and is also the dam of Rosewater Driving Miss Daisy (Australian Champion Young Dressage Pony), Rosewater Danny Boy (born 2009, now competing BE90) & Rosewater Cicero (born 2011). 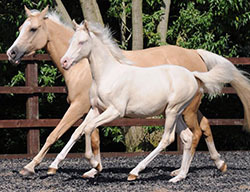 Godrics Stud has a good selection of potential FEI pony foals and youngtock for sale starting from £3,000 including stallion prospects.